In celebration of the 100th anniversary of the Garden Club of America founded in Philadelphia in 1913 and in support of the Revitalization of the Centennial District, the Philadelphia Committee of the Garden Club of America committed to restore the Concourse Lake area in Philadelphia as a gift to the City of Philadelphia. 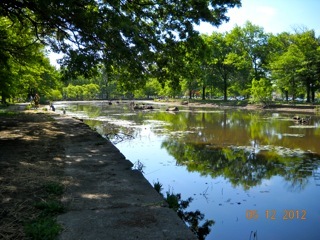 Concourse Lake is a storm water reservoir in Fairmount Park, Philadelphia. It is located off of Belmont Avenue, within a five minute drive from either the Schuylkill Expressway or the West River Drive, and a fifteen minute drive from center city. It lies midway between the Please Touch Museum and the Mann Center for the Performing Arts on the Avenue of the Republic, .3 of a mile from each, and 1.4 miles from the Philadelphia Zoo. The lake is part of the Park's Centennial District, the 236 acres where almost ten million people celebrated the nation's hundredth anniversary in 1867. The Centennial landscape was dotted with pavillions and exhibition halls touting the accomplishments of the nation, the skills of its artisans and scientists, the unique character and resources of the various states, and the lure of foreign nations. Housing the double Corliss engine which brought steam energy to the area, the mammoth Machinery Hall, 1402 feet long, rested on the seven and half acres now occupied by the Concourse Lake reservoir. Philadelphia has embarked on a multi-year, multi-million dollar plan to restore the Centennial District, converting this underused park asset into a varied educational, cultural, and recreational attraction for visitors and citizens alike. The refurbishment of Memorial Hall, the lone remaining large exhibit hall, and the subsequent move of the Please Touch Museum to this glorious building, signaled the beginning of these restoration efforts. 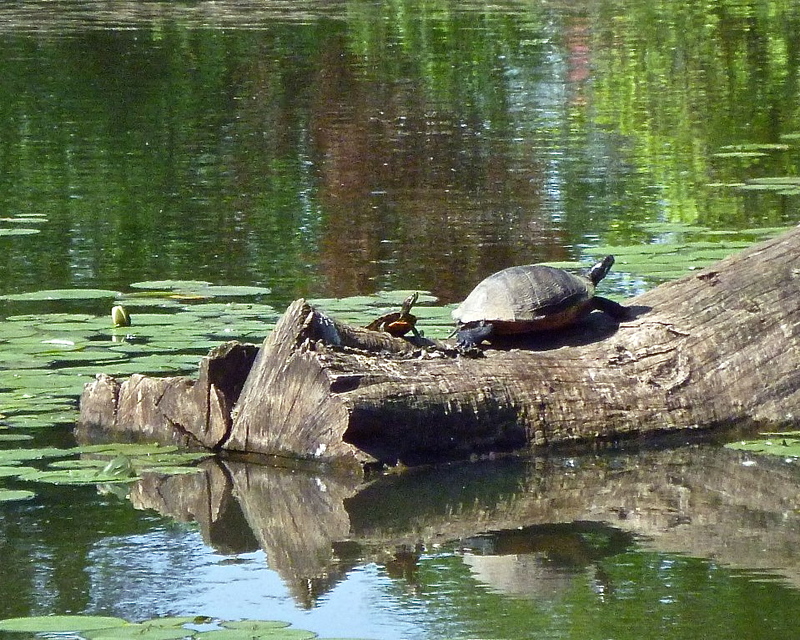 In 2009, the City invested in the creation of a 5 K recreational loop trail, unifying the area, and in the dredging of the Concourse Lake, creating a native wetland to better filter water on its way to the Schuylkill River. 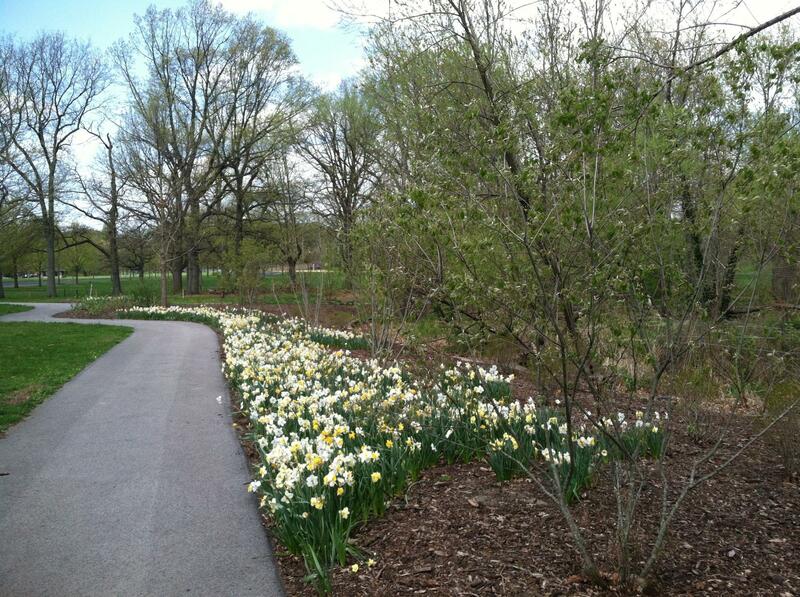 Delaware and Pennsylvania Member Clubs (Zone V) of the Garden Club of America selected the area surrounding Concourse Lake as the focus of their efforts to produce a horticultural gift for the City in honor of their own hundredth anniversary in April of 2013. Their planned horticultural and environmental renovation project (Concourse Lake 2013) seeks to continue the environmental improvements initiated by Pairmount Park and to provide continued momentum for the implementation of the overall Centennial District master plan. The project proposes the removal of dangerous paving adjacent to the lake, the installation of a new educational walk, and the planting of native plant material selected for sustainability and storm water management and supportive of Mayor Nutter's goal of creating the "Greenest City in America"
1. 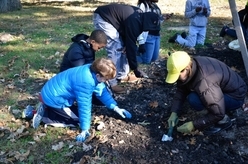 Transform an underutilized section of Fairmount Park into a vibrant resource that connects visitors and community residents both to nature and to the rich cultural resources of the Centennial District. 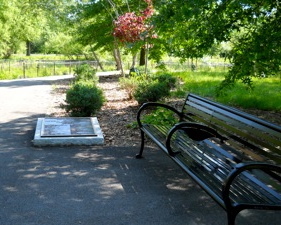 The proposed educational trail will have three major entrances welcoming those who live and work in the Parkside community, those who visit nearby treasures such as the Please Touch Museum, the Mann Center for the Performing Arts, the Japanese Tea House, the Philadelphia Zoo, and school groups interested in the environment impact of the restoration. Input from the surrounding community has contributed to the design of new play and picnic areas, as well as to the variety of educational opportunities that might be developed. It is hoped that friends groups will continue to support and care for the space as it takes shape and earns their appreciation and affection. Additional funds will be set aside to help with maintenance. Storm water from Concourse Lake flows under the Avenue of the Republic into Centennial Lake. Surface water from the two-lake area of the watershed flows to the Japanese Tea House and ultimately to the Schuylkill River, supplying drinking water to a large part of Philadelphia and its surrounding community. Though once used for fishing, the lake has badly deteriorated over time. 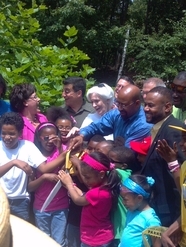 Through a Growing the Neighborhood Grant, the City was able to dredge the lake in August of 2009 and will be planting its interior to create a wetland and pnd habitat. 3. Restore native plant material and restrict storm water run off. Concourse Lake is currently surrounded by mowed lawn and rows of trees along its adjacent roadways. New groves of native trees, shrubs, and ground covers will be planted to restore original tree canopy, reduce storm water run off, and provide a more natural forest ecosystem in which visitors may walk, picnic and play. All plantngs will be consistent with the newly developing standards for sustainable landscaping. Over the years, the concrete sides and connected walk hugging the lake's circumberence have deteriorated. The new walk, weaving in and out of the proposed plant groves, will feature signage highlighting the characteristics of the trees chosen for the site, the inhabitants of the ecosystems created, and the use of plant material to control storm water and to filter storm and spring water as it moves toward the river. The walk will be handicapped-accessible and its signage informative for families, school classes, historians, and horticulturists alike.